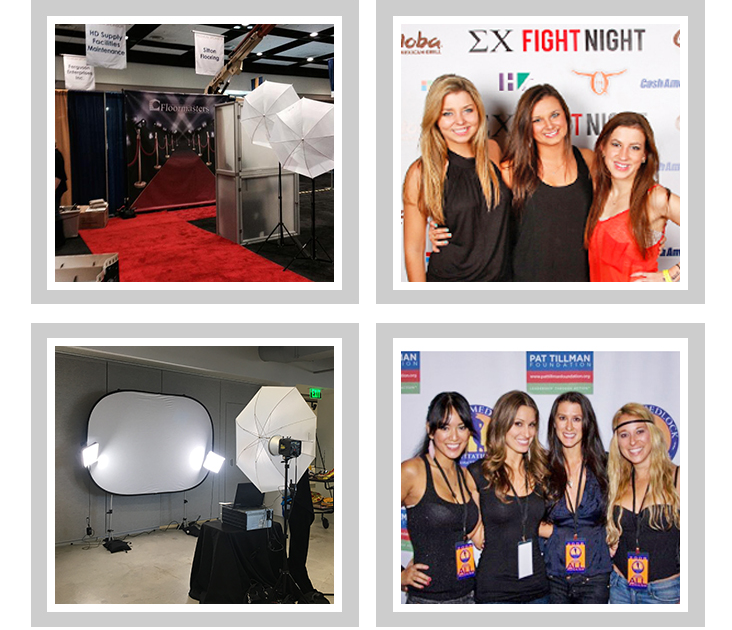 Redefining the ultimate event photography experience, Perspective Photo Booth completes every celebration with a wide selection of photo booth rentals in the San Francisco Bay Area for every occasion, venue, and budget. From green screen and hard enclosed photo booths to features like red carpet step and repeat options, pipe and drape, open air and social media uploads, our team has a complete set of terrific offers to transform your event into a truly unforgettable experience. Our Photo Booths & Offerings in the San Francisco Bay Area, San Jose, San Mateo, East Bay, South Bay and more! Remember taking photo booth pictures at malls or amusement parks as a kid? When you have your event in the San Francisco Bay Area, San Jose, San Mateo, East Bay, South Bay, rent our booths so you can experience taking pictures with our hard enclosed Photo Booth party rental. 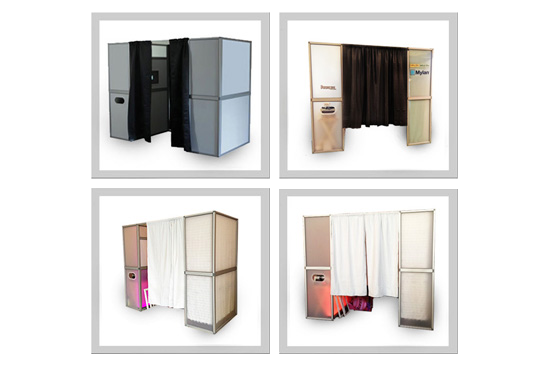 This party rental Photo Booth is a sleek white frosted hard enclosed booth with great customizable options and larger guest capacity. 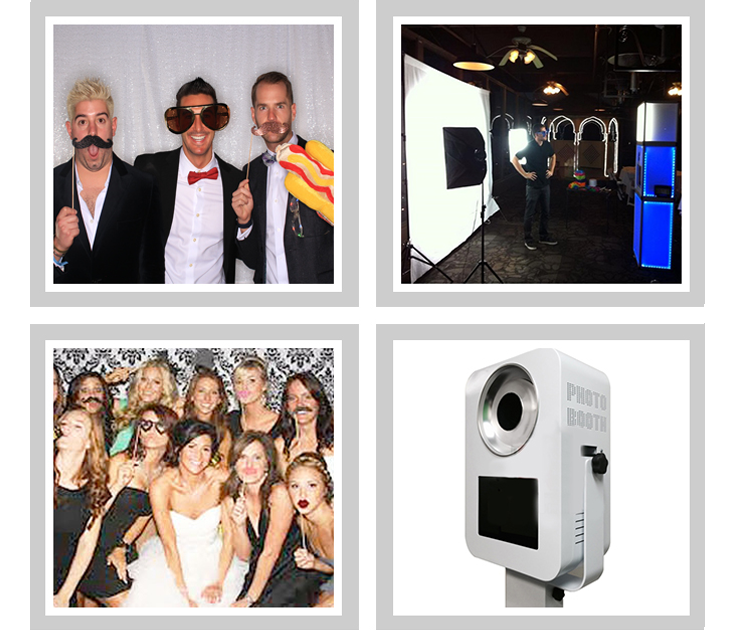 Our party rental hard enclosed Photo Booths are very customizable. 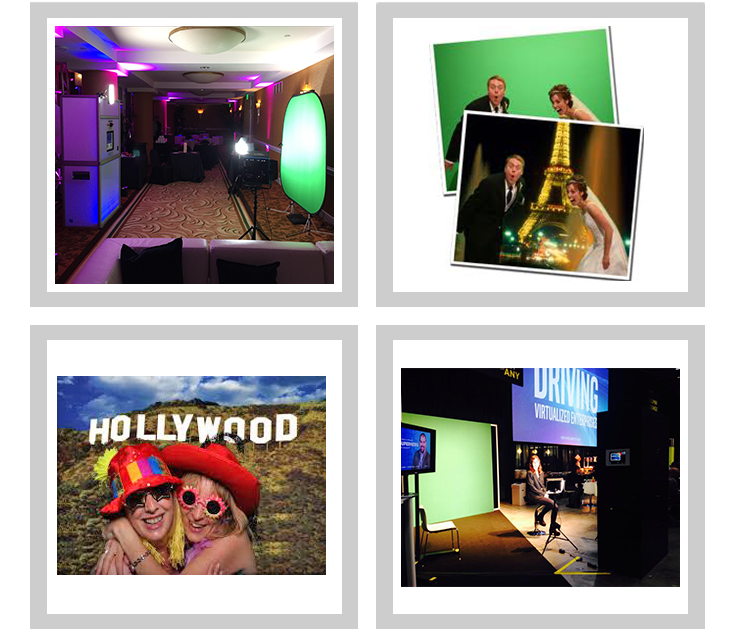 Clients have the option to customize the Photo Booth with colored LED lights and branding panels. Please see options below for additions. This photo booth is available in San Francisco Bay Area, San Jose, San Mateo, East Bay, and South Bay. We provide our clients with variety of Open Air options. We believe that every event has a different need, and we are equipped to ensure that we provide the best set-up from Red Carpet , Studio Style, and much more. 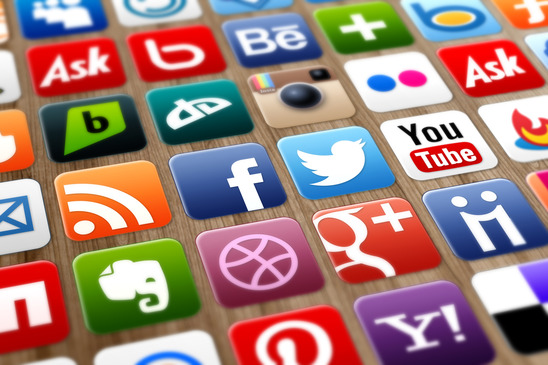 Please inquire with details if your event has special customizable needs – we are here to accommodate you. Want to know where to find Hard Enclosed Photo Booth party rental San Francisco, Hard Enclosed Photo Booth party rental Bay Area, Hard Enclosed Photo Booth party rental East Bay, Hard Enclosed Photo Booth party rental San Jose, Hard Enclosed Photo Booth party rental San Mateo, Hard Enclosed Photo Booth party rental South Bay, Hard Enclosed Photo Booth rental San Francisco, Hard Enclosed Photo Booth rental Bay Area, Hard Enclosed Photo Booth rental East Bay, Hard Enclosed Photo Booth rental San Jose, Hard Enclosed Photo Booth rental San Mateo, Hard Enclosed Photo Booth rental South Bay, Hard Enclosed Photo Booth San Francisco, Hard Enclosed Photo Booth Bay Area, Hard Enclosed Photo Booth East Bay, Hard Enclosed Photo Booth San Jose, Hard Enclosed Photo Booth San Mateo, Hard Enclosed Photo Booth South Bay? Our Hard Enclosed Photo Booth party rental San Francisco, Hard Enclosed Photo Booth party rental Bay Area, Hard Enclosed Photo Booth party rental East Bay, Hard Enclosed Photo Booth party rental San Jose, Hard Enclosed Photo Booth party rental San Mateo, Hard Enclosed Photo Booth party rental South Bay, Hard Enclosed Photo Booth rental San Francisco, Hard Enclosed Photo Booth rental Bay Area, Hard Enclosed Photo Booth rental East Bay, Hard Enclosed Photo Booth rental San Jose, Hard Enclosed Photo Booth rental San Mateo, Hard Enclosed Photo Booth rental South Bay, Hard Enclosed Photo Booth San Francisco, Hard Enclosed Photo Booth Bay Area, Hard Enclosed Photo Booth East Bay, Hard Enclosed Photo Booth San Jose, Hard Enclosed Photo Booth San Mateo, Hard Enclosed Photo Booth South Bay are very customizable. You can customize our Hard Enclosed Photo Booth rental San Francisco, Hard Enclosed Photo Booth rental Bay Area, Hard Enclosed Photo Booth rental East Bay, Hard Enclosed Photo Booth rental San Jose, Hard Enclosed Photo Booth rental San Mateo, Hard Enclosed Photo Booth rental South Bay, Hard Enclosed Photo Booth San Francisco, Hard Enclosed Photo Booth Bay Area, Hard Enclosed Photo Booth East Bay, Hard Enclosed Photo Booth San Jose, Hard Enclosed Photo Booth San Mateo, Hard Enclosed Photo Booth South Bay depending on your preference. Unlike other provider of traditional Hard Enclosed Photo Booth rental San Francisco, Hard Enclosed Photo Booth rental Bay Area, Hard Enclosed Photo Booth rental East Bay, Hard Enclosed Photo Booth rental San Jose, Hard Enclosed Photo Booth rental San Mateo, Hard Enclosed Photo Booth rental South Bay, Hard Enclosed Photo Booth San Francisco, Hard Enclosed Photo Booth Bay Area, Hard Enclosed Photo Booth East Bay, Hard Enclosed Photo Booth San Jose, Hard Enclosed Photo Booth San Mateo, Hard Enclosed Photo Booth South Bay, ours are with quality and brims with creativity. So if you want to know more about our Hard Enclosed Photo Booth San Francisco, Hard Enclosed Photo Booth Bay Area, Hard Enclosed Photo Booth East Bay, Hard Enclosed Photo Booth San Jose, Hard Enclosed Photo Booth San Mateo, Hard Enclosed Photo Booth South Bay, browse our website for more details. Contact our friendly staff and know more about Hard Enclosed Photo Booth San Francisco, Hard Enclosed Photo Booth Bay Area, Hard Enclosed Photo Booth East Bay, Hard Enclosed Photo Booth San Jose, Hard Enclosed Photo Booth San Mateo, Hard Enclosed Photo Booth South Bay. Get a free quote on our Hard Enclosed Photo Booth San Francisco, Hard Enclosed Photo Booth Bay Area, Hard Enclosed Photo Booth East Bay, Hard Enclosed Photo Booth San Jose, Hard Enclosed Photo Booth San Mateo, Hard Enclosed Photo Booth South Bay today!